It all started with an internship. Alexis Gregos was a psychology undergraduate at Adelphi University in Garden City, N.Y., looking for meaningful field work to enhance her studies. She had just lost a grandmother to Alzheimer’s. Searching through a list of potential non-profit placements, she noticed Music & Memory. It seemed like the perfect fit. And, indeed, it has been. That undergrad internship two years ago eventually led to Alexis’s current position as Community Outreach Coordinator. Now in graduate school at Adelphi, she balances coursework with her part-time responsibilities, guiding Music & Memory volunteers to run iPod donation drives, helping volunteers introduce the program to nursing homes and managing the organization’s social media channels. 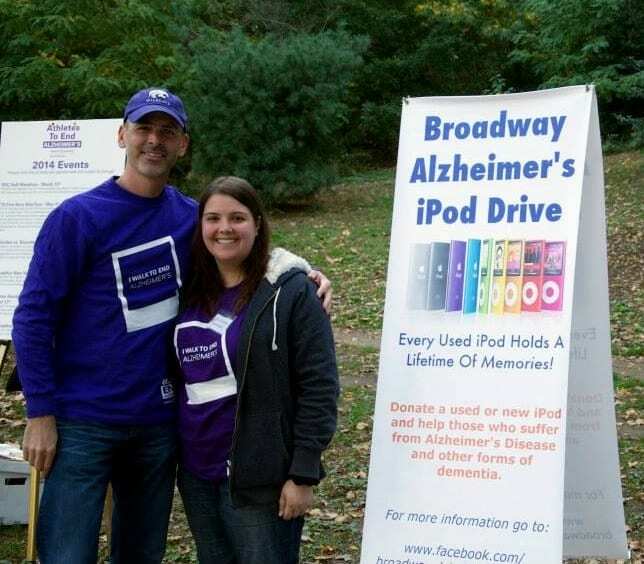 Spreading the word about the benefits of Music & Memory’s personalized music program—how it enables individuals with Alzheimer’s, dementia and other cognitive and physical challenges to reconnect with the world and their own humanity—is one of the best parts of the job for Alexis. The message is personal, too. Having lost one grandmother to Alzheimer’s before she was involved with Music & Memory, Alexis and her family have been able to apply what they’ve learned about personalized music to help her other grandmother, who lives with the family and also has memory challenges. “I see the power of music every time we play songs from her youth and she perks up,” says Alexis. “It is truly amazing to see someone go from non-communicating and sleeping all day to being awake and alive. Particular music, like patriotic songs, are real winners for her. She even likes to conduct the orchestra while she sings the music she remembers.